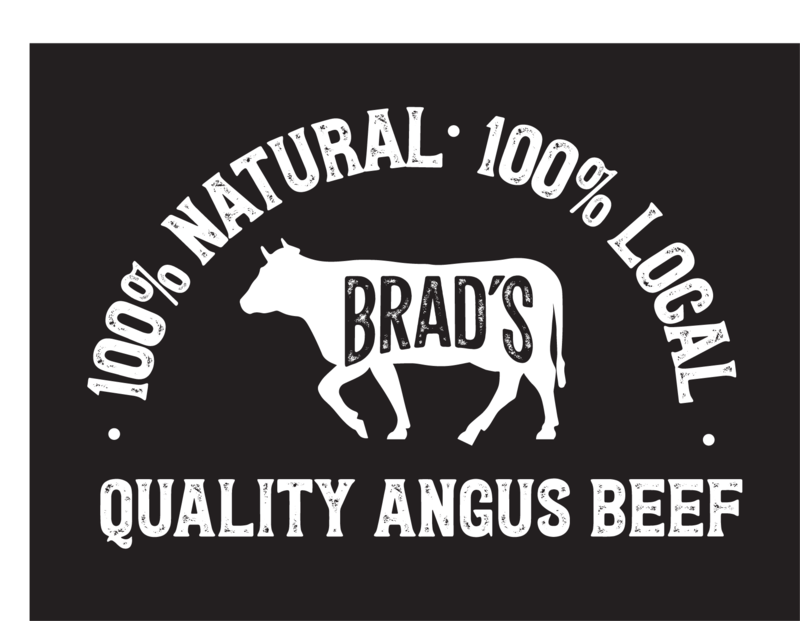 Brad’s Farm Market began raising Angus beef on our farm in Darlington in the spring of 2013. 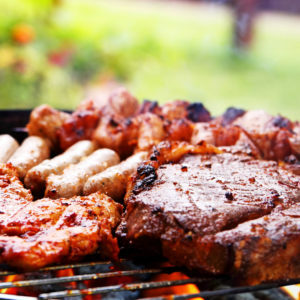 Our all-natural beef is grass and grain fed as well as steroid-free with no added hormones. It’s dry-aged for three weeks before being made available for purchase. Our Angus beef is sold wholesale and in retail cuts. Retail cuts are available mid-April through October. Customers may buy wholesale by the whole, half or quarter and retail by specific cuts at Brad’s Farm Market in Churchville. Wholesale orders are taken on a first-come, first-served basis and are available year-round. For more information, please email info@bradsfarmmarket.com or order online. Wholesale beef is priced and sold by hanging weight. This is the weight of the cattle after it has been slaughtered and before it’s processed. After butchering the hanging weight will be reduced by 25-30%. This is due to moisture loss during the 3 weeks of dry aging, the cutting process and the removal of bones. The following weights are estimates only and are simply to help you determine the approximate cost of the beef. Size | Hanging Weight (approximate) | Price/lb. 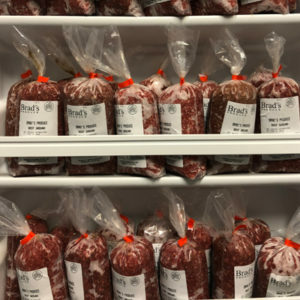 Wholesale beef orders require a non-refundable $100 deposit upon placing your order. The balance is due to Brad’s Farm Market once the hanging weight is determined. Prices do not include butchering fees, which are additional and paid directly to the butcher. These prices vary depending on the cuts you choose. An approximate butchering fee for a whole would be $655, a half would be $330, and a quarter would be $180. Once you decide on the amount and you have placed your order with us, we will put you in touch with our local butcher shop. They will work with you on the specific details of your cuts and packaging. Your order is customized to your choice of thickness and other specialty cuts. Each piece is individually wrapped in freezer-safe packaging and frozen. Between farm and butcher our cattle travel less than 70 miles. Put a face to your food! You see us each time you come to the farm – you know us and we know you. You know the hand that feeds your food. You can go talk to the butcher and get cuts that you want, that you’ll eat, that you’ll love – before it’s even butchered. Our cattle are raised in a field, on a farm, in your community! Ensure your food is raised in the same area your family is raised. Enjoy beef that is dry-aged! Once at the butcher the beef is dry-aged for 3 weeks. Dry aged beef has been hung to dry in a temperature and humidity controlled space for several weeks. This process enhances both the flavor and tenderness of the beef. Dry aging of the beef makes the ground beef just as delicious as the steaks. Only high grades of beef, such as USDA Prime can be dry-aged. 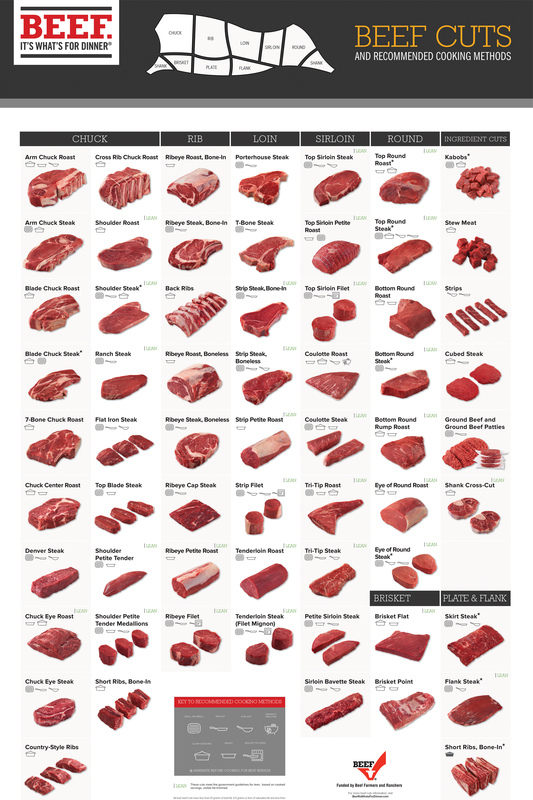 Most beef that is sold in supermarkets is USDA Choice grade beef and is wet-aged. This process involves adding water to the beef and then vacuum sealing it immediately after it’s cut. The price you pay/pound in the store includes the additional water. Dry-aged beef has no water added.